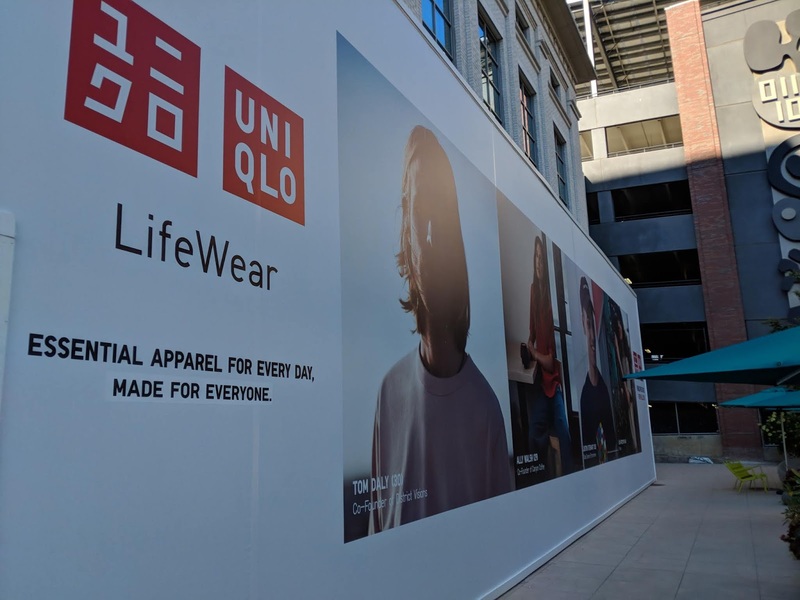 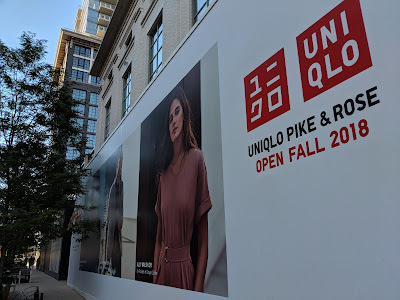 Famed Japanese apparel retailer UNIQLO has posted huge "Coming Soon" signage at their future Pike & Rose location at 11853 Grand Park Avenue. 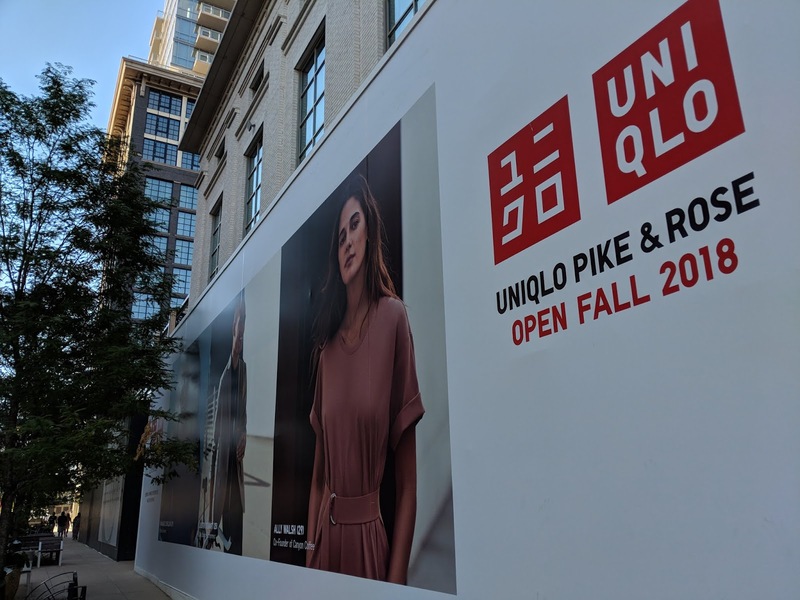 And now we know their opening date, as well - Saturday, September 1, 2018 at 10:00 AM. 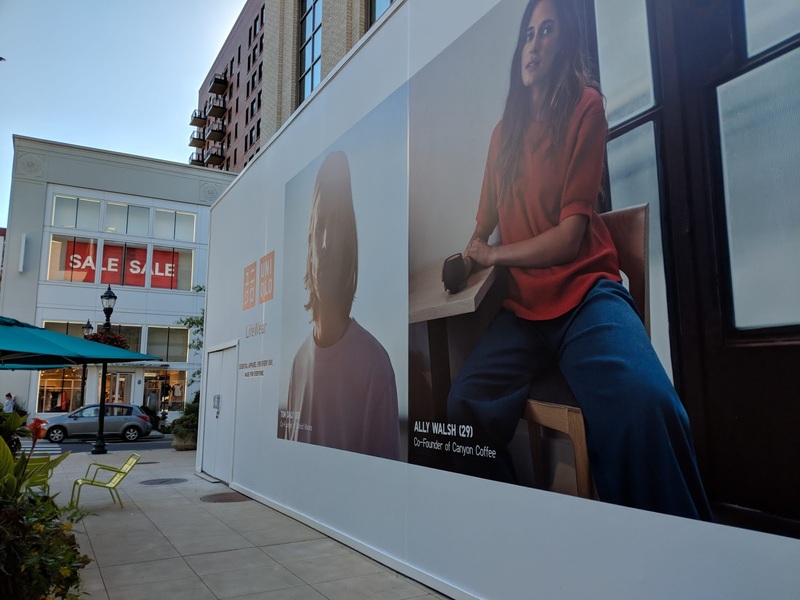 The new store's manager will be Elissa Jackson, and they are still hiring employees. For the guys, yes, they also have a large line of men's apparel, as well as women's and children's.